Tanner Hudson had heard the rumors. Laura Jessup had given birth to a married man's baby girl. A now deceased man whose widow was dating his own brother. Tanner had also seen a determined single mother who put on a brave face in town while others turned away from her. As an EMT, he had been on duty and helped in delivering Rowan. He had always felt a call to help, but if there was one person in town who needed a friend, it was Laura. And Tanner could be that friend, regardless of what anyone said. Laura knew what was said about her, but her daughter was worth any stigma placed on her. She could leave town, but had felt the need to be close to her grandparents. She was starting her own business, trying to make ends meet, and struggling to ignore the stares and comments. And then Tanner appeared in her life. First, he was a hero helping her bring Rowan into the world. Then, he was the sole individual who stopped when her car wouldn't start. He was driven to help others, which was the explanation to his proposal. Why else would a handsome, hometown, heartthrob, hero ask her, the town pariah, to a marriage of convenience. Tanner had stated the benefits for him, and for her. She knew she was getting the better end of the bargain. Unless her heart was broken in the process. 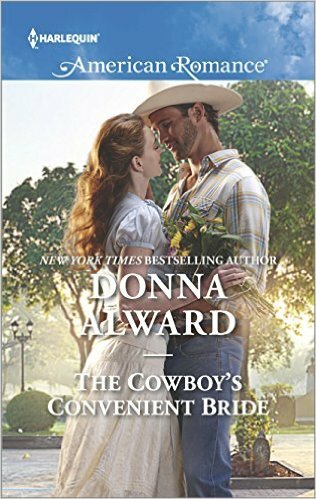 The Cowboy's Convenient Bride was a touching romance of friendship and trust. Tanner didn't allow town gossip to keep him from helping a lonely woman in need of a friend. He initially didn't intend more than offering friendship. It was touching to see how Tanner's feelings evolved as he learned Laura's story, and saw her proudly bear everyone's censure. I hadn't read the first story, but this one can stand on its own. However, I believe there were spoilers in this story for the first.